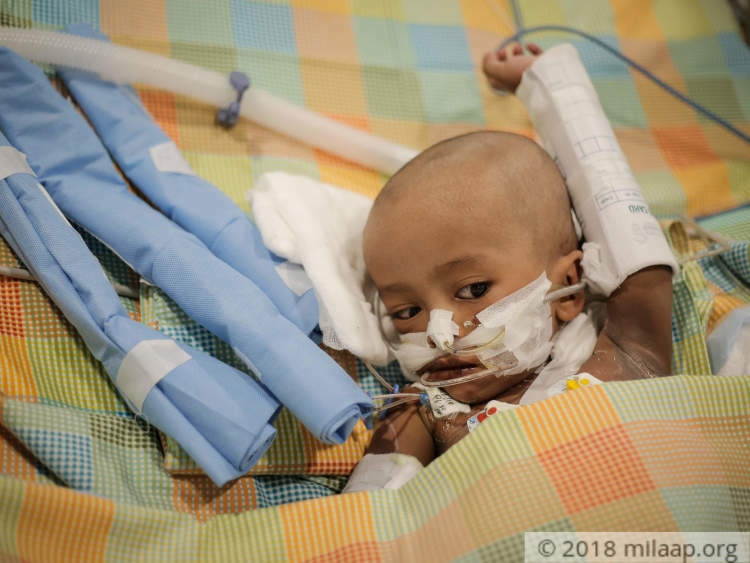 1-year-old Ahnaf’s tumor has grown and spread to other parts of his body so rapidly that even after removing it along with one of his kidneys, Ahnaf still needs additional chemotherapy and treatments to survive. 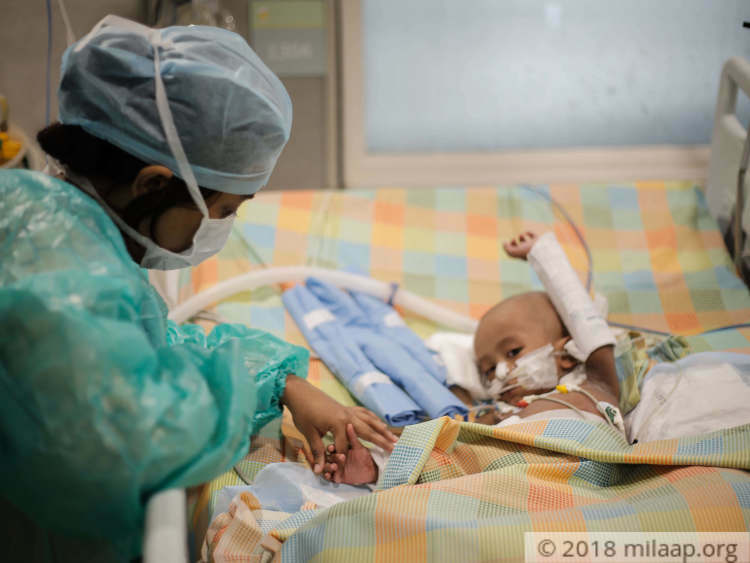 His father, who his heartbroken because Ahnaf is still on life support and can’t even eat food, feels helpless because he has nothing left to save his baby. 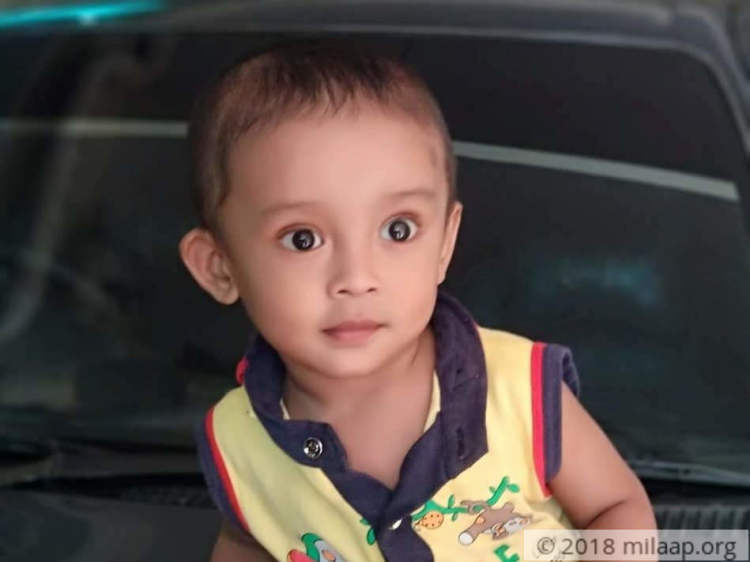 1-year-old Ahnaf has been through hell. 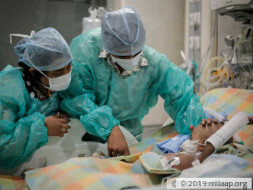 He was diagnosed with a deadly tumor known as Wilms tumor, which spreads very rapidly to other vital organs of the body if untreated. Sadly, in the 1-year-old's case, this is exactly what happened. 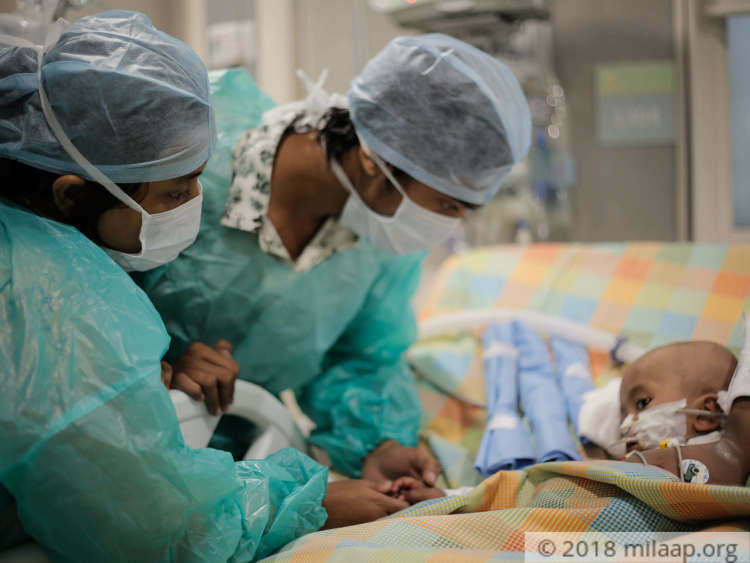 Ahnaf was responding well to chemotherapy, but just about a week ago, he suddenly lost consciousness and just wouldn’t open his eyes. 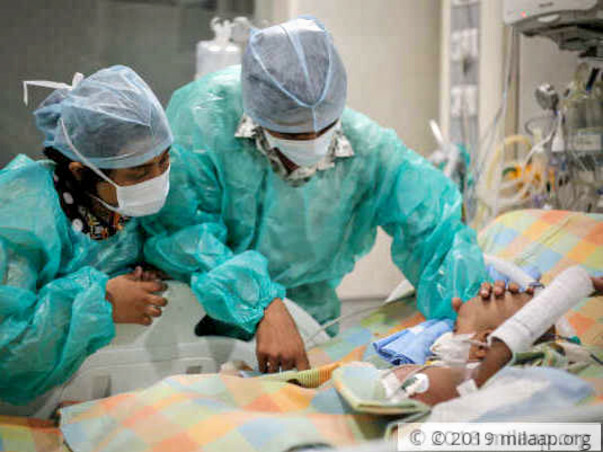 Shocked, Mojaffar and his wife, Farhana, rushed him to the ICU. 1-year-old Ahnaf tumor, even though it’s removed, caused heavy damage to his body. He is still extremely weak and he just cannot survive without, at least, 6 months of chemotherapy, but Mojaffar has absolutely nothing left. Mojaffar has borrowed over Rs. 3 lakhs till now. 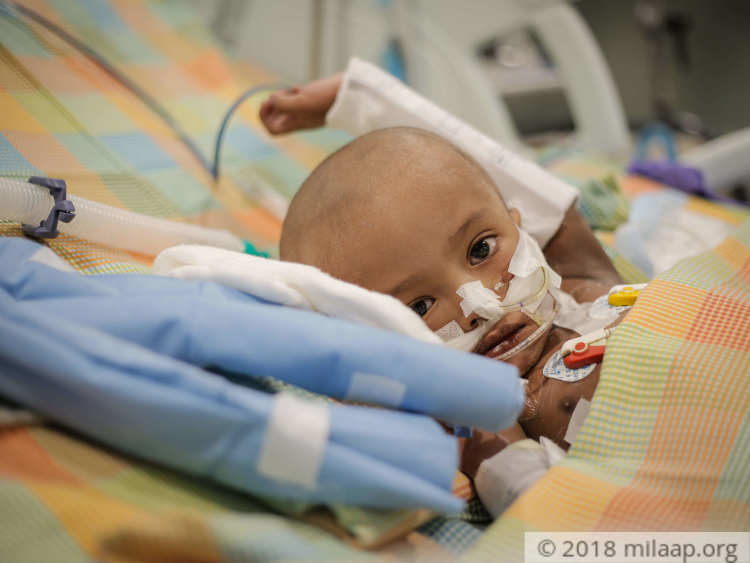 His baby, 1-year-old Ahnaf has miraculously come back from the jaws of death and is still very critical in the ICU still in dire need of life-saving treatments and additional chemotherapy. Mojaffar is in desperate need of Rs. 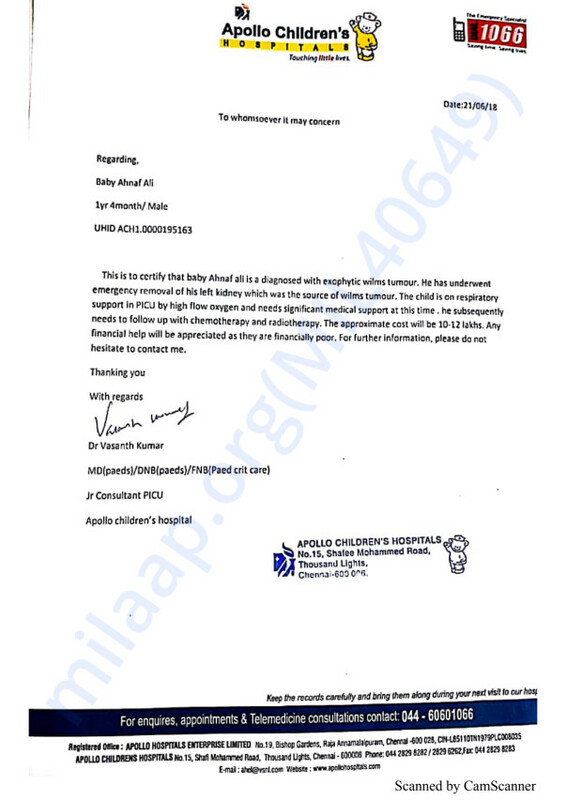 12 lakhs and he simply cannot save his son without your help. Ahnaf is currently getting better and has recovered well from the surgery he underwent to remove his tumor. However, there is still some tumor left which needs to be cured. Treatment for the same is likely to start soon. We are all hopeful about his recovery. We shall keep you posted. Thank you everyone once again! Thank you so much for the support you have shown towards Ahanaf. 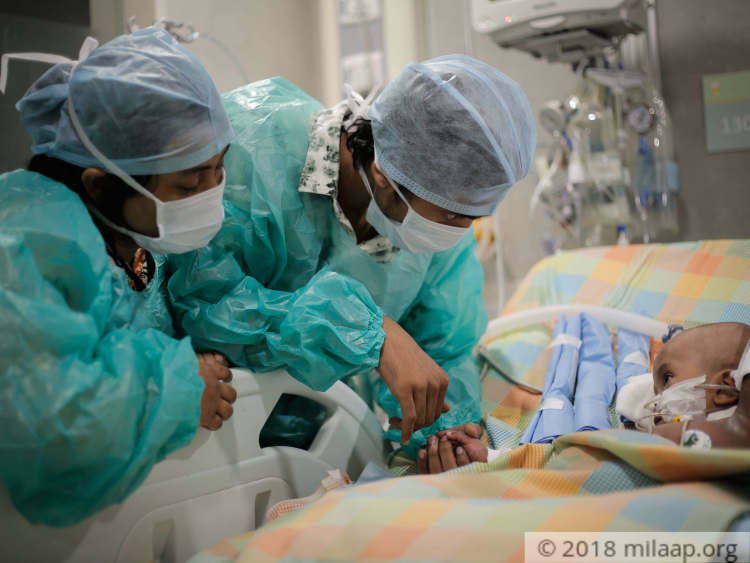 Ahnaf is off the ventilator and feeding on his own. He has a wound infection which seems to be under control. He soon needs to start his Chemotherapy. His general condition has improved quite a bit but he needs to start the chemotherapy in order to start showing signs of recovery.